Oliver had a remarkably quiet weekend at Belton. 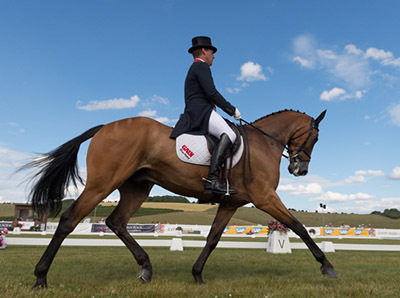 He only took the Kentucky bound Cooley Master Class and the Badminton bound Ballaghmor Class for the CCI4*-S – and withdrew both before the cross country, which had always been his plan. The pair gained near identical dressage scores, 30.4 and 30.3 respectively, with Cooley Master Class showjumping clear and Ballaghmor Class tapping a couple of rails.